Winters in Mississauga are fairly tame compared to most other parts of Canada. More often than not, residents are able to maintain a joyful winter season. However, when that snow falls it can bring the city to a complete stop! Don’t let the weather decide how you will spend your winter season. 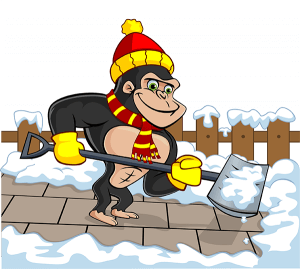 Instead, call our Gorillas for your Mississauga snow removal and salting. The climate around Mississauga can be unpredictable. Properties in the area can be hit with snowfall as early as October and even as late as May! It can be an unhappy surprise to expect a fun day and the sun only to find yourself shovelling. Gorilla technicians do not like surprises and that is why we are always prepared for anything. Part of your Mississauga snow removal and salting service is monitoring incoming cold fronts and stormy weather. By keeping an eye on what is coming, we are ready for anything! Recognizing incoming weather patterns allows our Gorillas to keep in touch with clients and know exactly what tools are needed to get the job done. 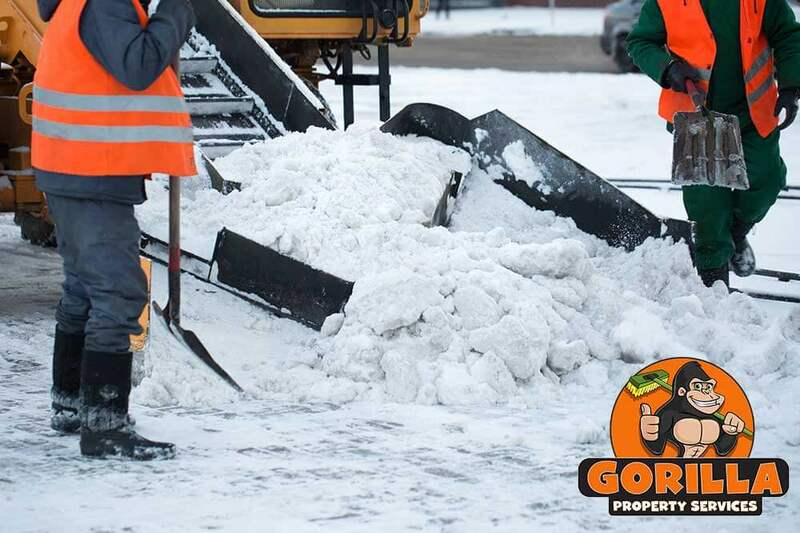 Gorilla Property Service works closely with residential and commercial property owners in order to keep their spaces snow-free. This means that we can handle jobs as large as parking lots, or multiunit housing and as small as sidewalks or walkways. Due to the mild weather around the Mississauga areas, ice can be a real problem. With shifting temperatures, what can melt during the day will freeze overnight. Having ice around your property increases the chance of slip and falls. Every year, hundreds of Canadians are taken to hospital because of slips, falls, tumbles and trips. Our Mississauga snow removal and salting can help make sure that you are not one of these cases!